2 Bedroom Ground Floor Flat For Sale in Glasgow for Fixed Price £125,000. 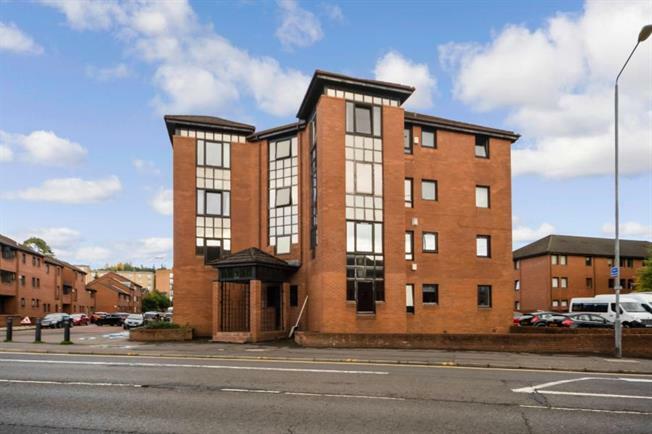 This well proportioned modern ground floor flat enjoys a convenient location on Maryhill Road for access to a wide range of amenities. The accommodation comprises: secure entry system into the common hallway, reception hall with excellent storage. A generously proportioned living room with dining space, fitted kitchen with fitted base and eye level units. There are two good sized double bedrooms with built in wardrobes and a refitted bathroom with a white three piece suite and over bath shower. The flat is warmed by electric heating and has double glazed windows. To the rear there is off street residents parking.